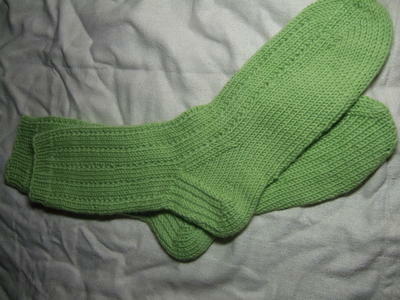 I knit these for my mother -- very excited to be sending off two pairs of socks to my parents. They have been having some dramatic times down in Florida recently, so these should be a welcome surprise. This is a great & fast! pattern. A pair of socks in a weekend kind-of-speedy. I *love* this yarn. It is soft, springy, beautiful stitch definition. Mmmerino.